Today I'm going to introduce you to another member of our foodie group, "Kolkata Food Bloggers", Rakhee Dutta of "My World of baking and More", with her our event, "Know your Blogger" is going to end, but I'm going to introduce you many more awesome bloggers in future for sure. So now, Rakhee is an IT professional, who manages home and office in equal elan with a food blog by her side. She is very Jolly and jovial in nature. Her passion for baking is extraordinary. She has blogged on many difficult and traditional baked delicacies on her blog within very short period of time. She is the bread baking queen of our group, KFB. I blindly follow her recipe when it comes to bread baking and I've gathered all my courage to bake a bread at home from her blog only. The way she explains all the procedures and minute details, anyone can bake a bread like I did. I've always poured a piles of queries whenever I've tried something from her blog in the past and she answered each and every query very politely and added her personal tips,too. 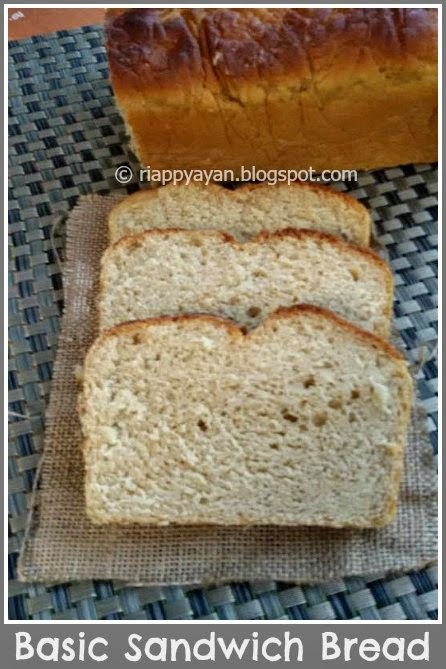 If you want to learn the funda behind Bread baking, her blog should be your destination. 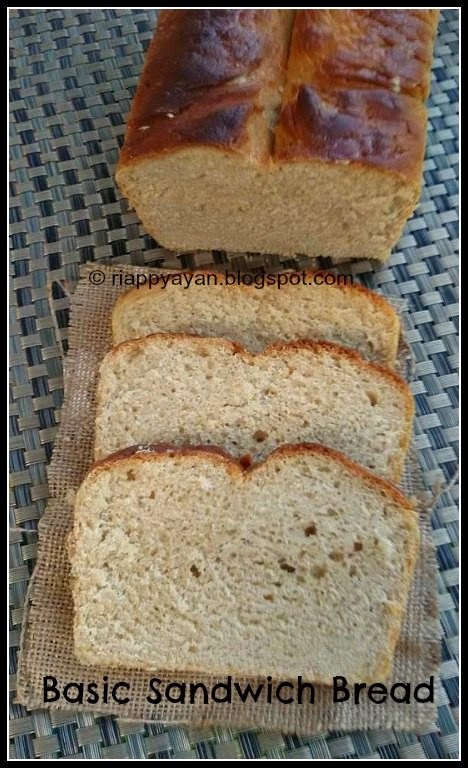 So, this week as per event rule when I'm supposed to chose one recipe from her blog and post, what else you think I'm gonna choose other than a bread. 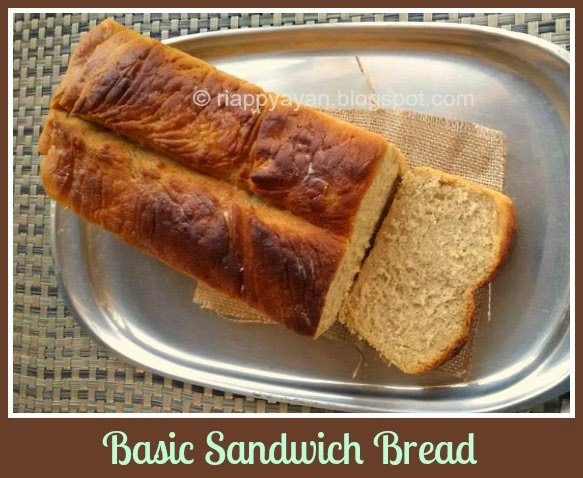 And I chose her Daily Bread or a Basic Sandwich Bread recipe. As always, Ive followed her recipe and measurement to the T, still I had few queries in my mind and as usual called her during the baking and she answered all my queries and wished me luck. And Voila, I got a perfect textured bread at one go and it's all thanks to her. Slowly I'm overcoming the fear of baking breads. Thank you Rakhee for being such a wonderful friend, even though we havn't met yet personally, hoping to meet you soon. Instant yeast : 1 and 1/2 tsp. Sugar : 1 ans 1/2 tblsp. White oil : 1 and 1/2 tblsp. After it doubles in size, take out the dough and deflate it by pressing it down. Do not punch. Using little flour knead the dough for couple of minutes more. Now spread the dough using a rolling pin in a rectangular shape. Then start rolling the dough from one end and press down the open end with fingers. continue the process till the end and make a log shaped dough. 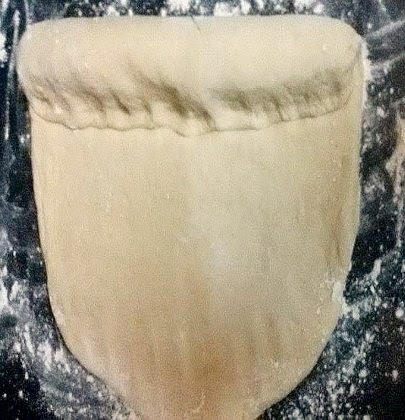 Now grease a wide (at least 8 inches long and 3 inches wide) loaf pan and place the shaped dough inside it. Now keep this ready loaf tin in a warm place for the second rise, covering with a damp kitchen cloth. It takes about 45 minutes to rise. This time it'll not double in size but will rise 1/2 the size of the dough more. Bake for 40 minutes or when you tap the back of the bread, it sounds hollow. If you want a brown crusted bread, turn on the grill mode on your oven and grill for 5 minutes. You'll get a golden brown top. Remove the bread from oven and brush it with butter/milk/oil. Cool completely before you slice the bread, otherwise the bread will crumble. 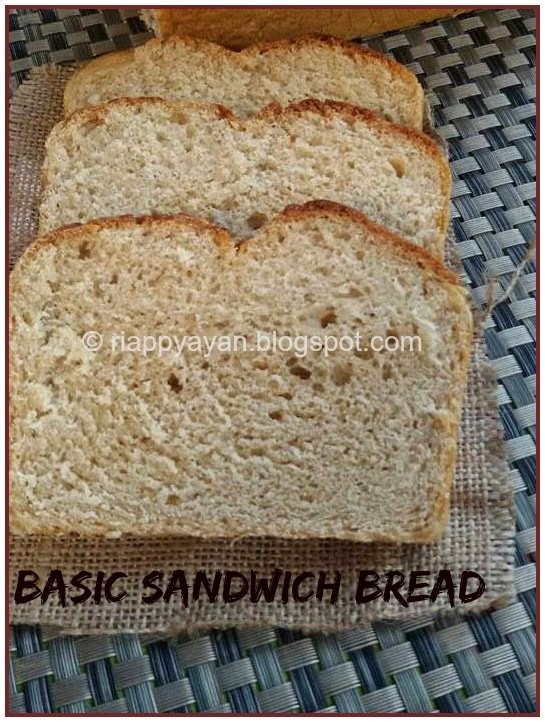 Enjoy your favorite sandwich with your homemade bread.........aha, what an awesome feeling. 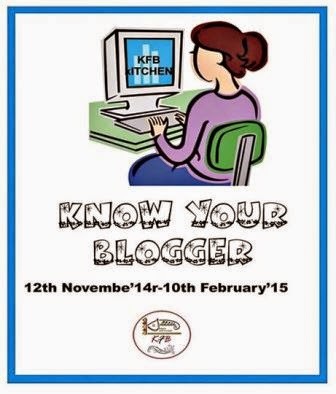 Sending this to "Kolkata Food Bloggers" ongoing event, "Know your Blogger"